Happiness is a spring musical! 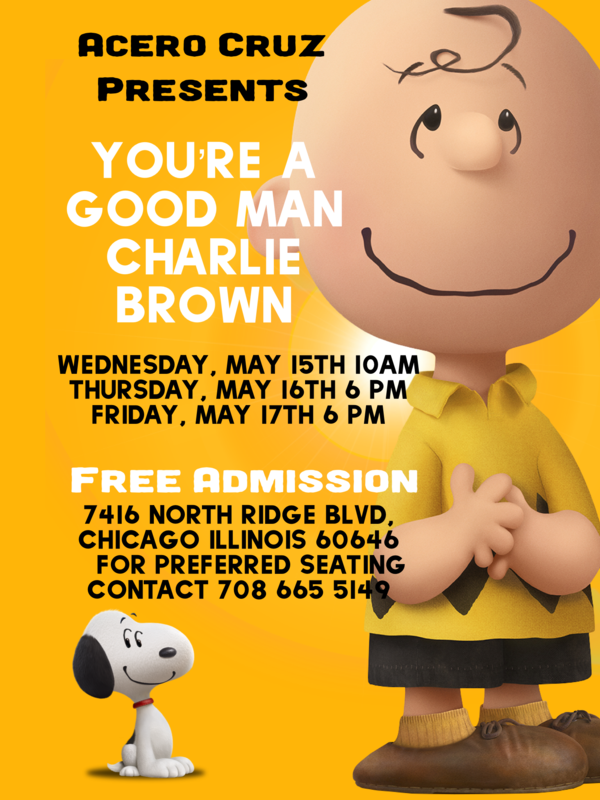 The Cruz Arts Department proudly presents the musical, You’re a Good Man, Charlie Brown in the school's auditorium from May 16 and 17 at 6:00 p.m.; and on May 15 at 10:00 a.m.
Community members are invited to come enjoy the antics of the Peanuts Gang comic strip. Meet Charlie Brown, Lucy, Snoopy, Linus, Sally and Schroeder. This is a wonderful family friendly production with loads of laughs, great music and terrific dancing.